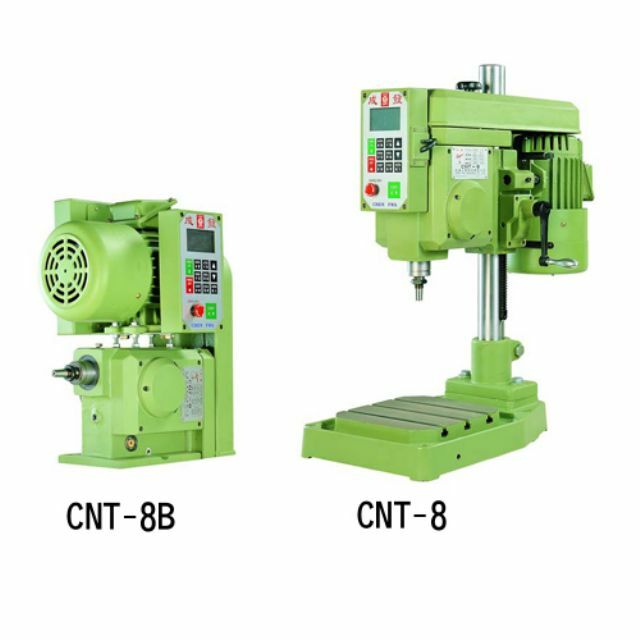 Sep 02, 2015 | By CENS | CHEN FWA INDUSTRIAL CO., LTD.
Chen Fwa Industrial Co., Ltd., founded in 1964, has released a variety of high-precision, automatic drilling machines, tapping machines and drill bits, which are available in mainland China, Southeast Asia, North America, Latin America, East Europe and Western Asia. Since 1999, Chen Fwa has been investing sizably in advanced electronics to improve the precision of its automatic tapping machines, having introduced the CNT-8 numerical control high-speed automatic tapping machine boasting user-friendly control interface to achieve high-speed, high-volume capacity. The CNT-8 enables easy programming via the user-friendly liquid crystal display (LCD) interface on the control panel, allowing even novice operators to easily handle tapping precisely without fail. Precision gears in this machine ensure accurate processing to save operators the extra cost to set up jigs. In addition, the specially designed 2,000-RPM motor enables 60 tapping operations per minute. If necessary, Chen Fwa also helps customers source optimal solutions to make drilled, tapped parts for electronic products, cellphones, notebook computers, information-technology products, sanitary equipment, automobiles and motorcycles, etc.